The agenda is linked HERE. In concluding items I am going to request that we prepare information and schedule discussion on protected bike lanes in some key corridors as well as an evaluation of and discussion on pedestrian mobility and safety in the downtown area. The agenda is linked HERE. Two items of note. First, in the work session we will be discussing our current setbacks on gas wells. This will be the first discussion we have had in a while on this topic. I’ll be most interested to learn what other communities are doing as best practices since the passing of HB40 a few years ago (HERE is the back up material for the agenda item). Second, we will be holding a public hearing on the proposed tax rate, revenue, and proposed budget for the coming year. There will be an opportunity for citizens to address the council during this hearing. The budget presentation on the proposed tax rate ($0.620477 per $100 valuation) and the proposed 2018/2019 budget is linked HERE. The agenda for this meeting is linked HERE. Of note in this EDP meeting is that we will receive an updated July STaND report (Statistical Trends and News of Denton). That report is linked HERE. You will see the latest demographics, labor, residential development, commercial development, crime, and road construction information in this report. New Police Chief in Denton! Please welcome aboard our new Chief of Police, Frank Dixon. HERE is a link to the press release announcing his hiring. I look forward to working with Chief Dixon and will be working to schedule him for an upcoming District 2 Conversation. This month the topic is Denton’s Tree Code. Richard Cannone, Deputy Planning Director, will be present on the current and proposed revisions to the Denton Tree Code. You can find the Facebook event invite HERE. This will be held at the North Branch Library at 2PM. 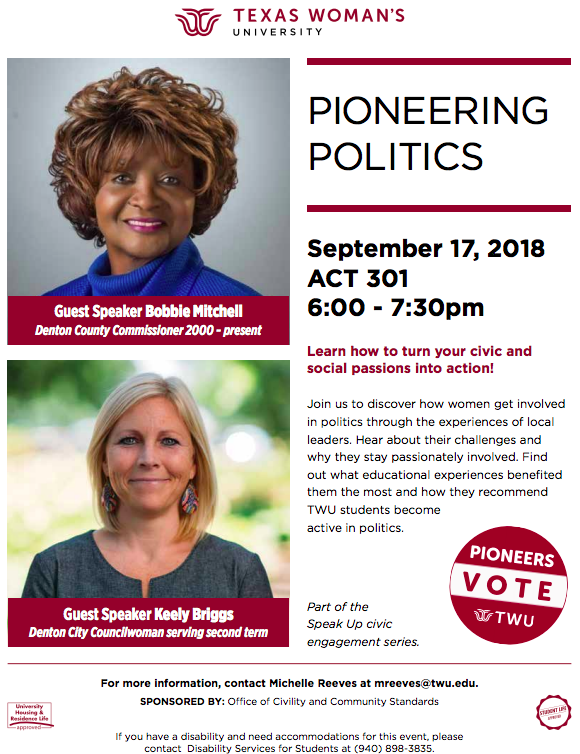 I will be on a panel with Denton County Commissioner Bobbie Mitchel. Please come out if you are interested. That is all for now! As always, please let me know if there are any questions, concerns, or ideas that you would like to discuss. I am here to serve you.